Since we’re sharing advice from veteran authors this week at The Ball, I reached out to one of my favorite writers, Aimee Bender. I’ve always been in awe of her work; the way she blends the real with the fantastical and makes poetry out of simple, powerful truths leaves me struck by her stories long after I’ve finished reading them. It’s such an honor to welcome her to the blog today. Thank you, Aimee, for sharing with us. 1. Most importantly: be wary of all advice. This is your writing. Your internal workings. It is ultimately up to you to figure out what fits you. 2. Write what you enjoy writing. 3. Don’t think about the marketplace. 4. When you read something about writing or when a writer talks about writing and it makes you feel bad, ignore it. Better still—be mad about it. 5. Find readers who are both honest and supportive. I find both traits are equally important. 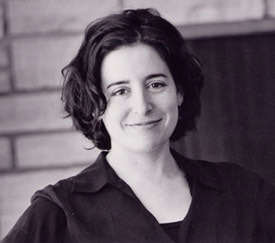 Aimee Bender is the author of five books: The Girl in the Flammable Skirt (1998) which was a NY Times Notable Book, An Invisible Sign of My Own (2000) which was an L.A. Times pick of the year, Willful Creatures(2005) which was nominated byThe Believer as one of the best books of the year, The Particular Sadness of Lemon Cake (2010) which recently won the SCIBA award for best fiction, and an Alex Award, and The Color Master, just released in August 2013. Be your own person, ringing loud and clear! 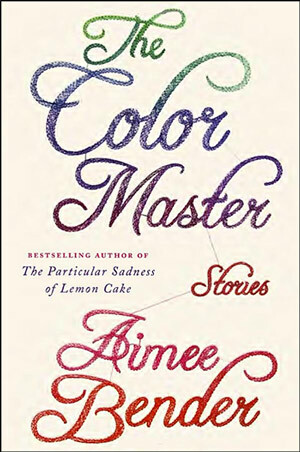 I adore your books, Aimee. Thank you for sharing with us today. Welcome, Amy! I think #1 is so true. If there’s anything I’ve learned in the process of writing and publishing my debut novel, it’s that there’s no single, surefire path. Really needed #4 today, so thank you, Aimee. And thank you Natalia for reaching out to her! I love the honesty of both #1 and #4. As writers we tend to think others have it all together, that they have all the answers, and since we don’t, we feel we’re doing it wrong. This advice was so refreshing, and much-needed. Thanks for commenting, Julia! And of course, to Aimee, for taking the time to share with us. Number 4 resonates with me too. I spent so many years taking critiques, and conference and workshop lessons to heart, feeling bad much of the time, like I was trying to fit my square writing in a round hole of acceptability. I think a lot of my favorite books would not fit in any specific category, which is why #4 makes so much sense. I. Love. Aimee. Bender. Great advice! Smart woman. 😉 It takes a brave soul to march to the beat of ones own drum. But I think it’s personal experience, and the wise advice of writers like Aimee, that reinforce our motivation to do so. These five pieces of advice resonant more with me now than they would have several years ago when I started writing seriously and applied everything I heard (or read). What a mess that was. Lol. Thanks for sharing this, Natalia (and Debs)! It’s good to be reminded of good advice.